This is a sponsored post written by me on behalf of Newman’s Own for IZEA. All opinions are 100% mine. 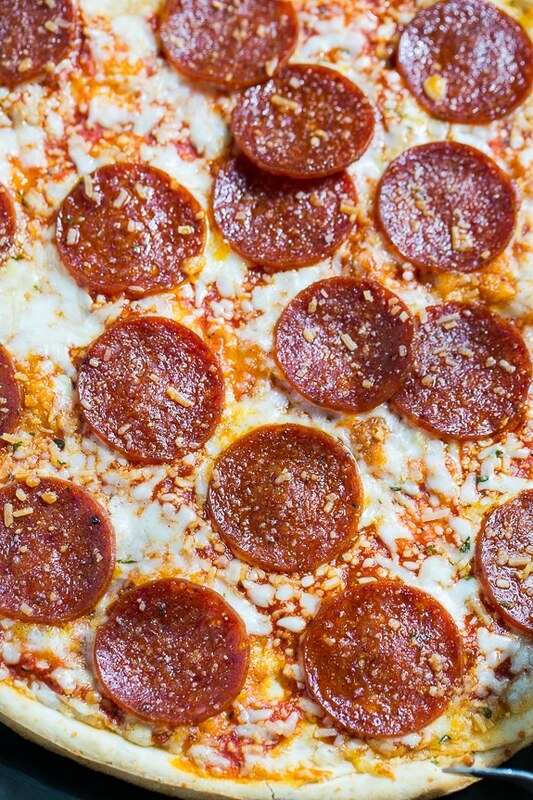 Pepperoni Pizza hot and crisp from the oven, decorated with uncured pepperoni slices. This delicious pizza isn’t my creation. It’s a Newman’s Own pizza and is my go to convenience meal. Newman’s Own has long been one of my favorite brands for two reasons. I love the taste and quality of their products. They are made from top quality, all natural ingredients. Secondly, and just as importantly, I purchase the Newman’s Own brand because all profits go to charity. As busy as my life has been lately, I don’t always have as much time as I would like for charity and volunteer work. Buying Newman’s Own is an easy way to know that I am helping to make a difference. Newman’s Own started in 1982 when actor Paul Newman began filling empty wine bottles with his homemade salad dressing. He gave them to his neighbors as holiday gifts and it grew from there. And yes, I’m old enough to remember when salad dressing was the only product they had. Over the last 30 years, Newman’s Own has earned over $400 million and every last bit of it has been donated to many different charities. Can there be anything more awesome than that? 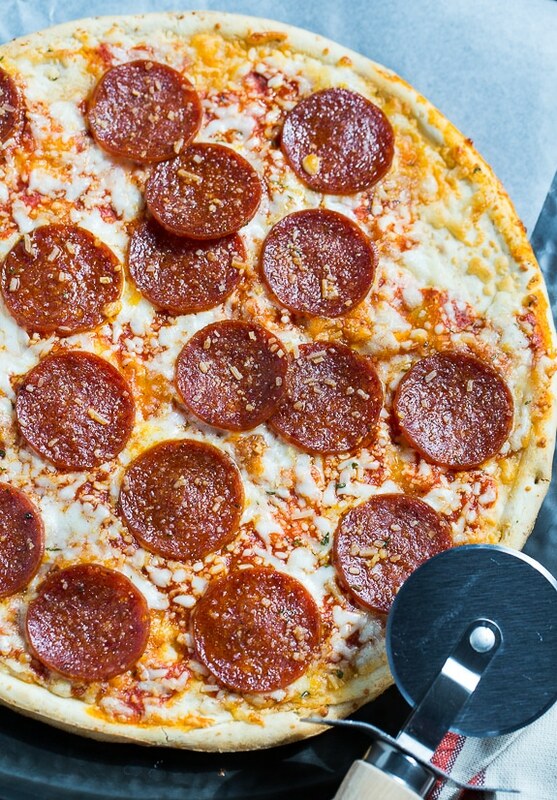 Frozen Pizza is our favorite meal for those days when there is no time for a home cooked meal. Newman’s Own pizza is both easy and convenient. I always have 2 or 3 frozen pizzas in my freezer. I stock up on them when they go on sale. And yes, frozen pizza was probably the first thing I taught my teenage kids to make. Whenever we make Newman’s Own frozen pizza, my son and husband always want pepperoni. It’s a manly pizza I guess and has tons of bold flavor from a generous amount of uncured pepperoni slices. My daughter loves the Four Cheese Pizza with its perfect blend of mozzarella, cheddar, parmesan, and asiago cheese. Personally my favorite is the Margarita with fresh chunks of tomato and chopped fresh basil. You can’t find a more delicious combo. 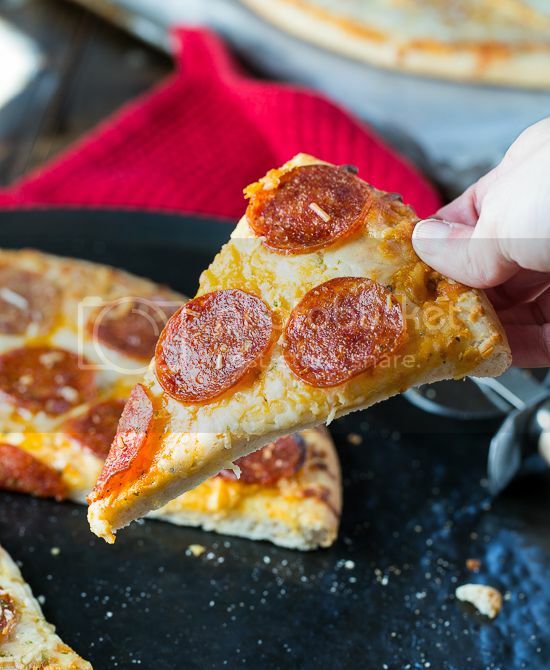 Bring the great taste of Newman’s Own pizza to your supper table and feel good that not only are you giving your family a delicious meal, but you are helping give money to charity in the process. It’s a win-win! To find out more about how Newman’s Own can help you serve quick and delicious meals and learn more about how they are making a difference, like Newman’s Own Facebook page and check out Newman’s Own BuzzFeed Page. This entry was posted in Appetizers, Main Dishes and tagged noads, Pizza. Bookmark the permalink. What an awesome brand. I’m gonna be on the lookout for this pizza! Oh, yum! This pizza looks like pure perfection. Is it weird that I’m now craving pizza before even 8am?! 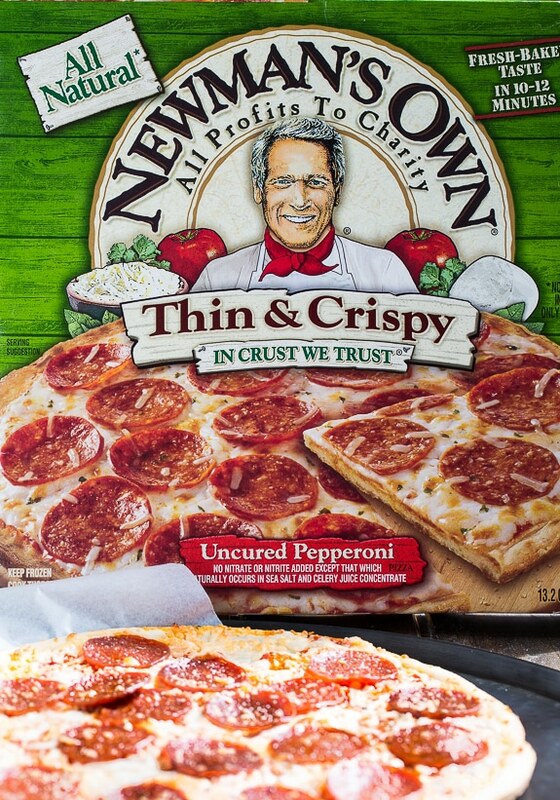 I’ve never tried Newman’s Own frozen pizzas before – just because I hadn’t heard about them -but now I know! Love the fact that they donate their profits to charity! We are huge pizza lovers too and I love that Newman’s profits go to charity! I have always loved and bought Newman’s Own Sauces. I did not realize they had pizza. I’m going to have to try this. I also like supporting a company whose profits go to charity. Mmm yummy! I officially just drooled a bit on my keyboard!! !